This is the next edition of the popular ‘A Pictorial Reference to the Basic concepts of TA’. The content has been revised and updated and now includes short explanations of each of the key concepts. 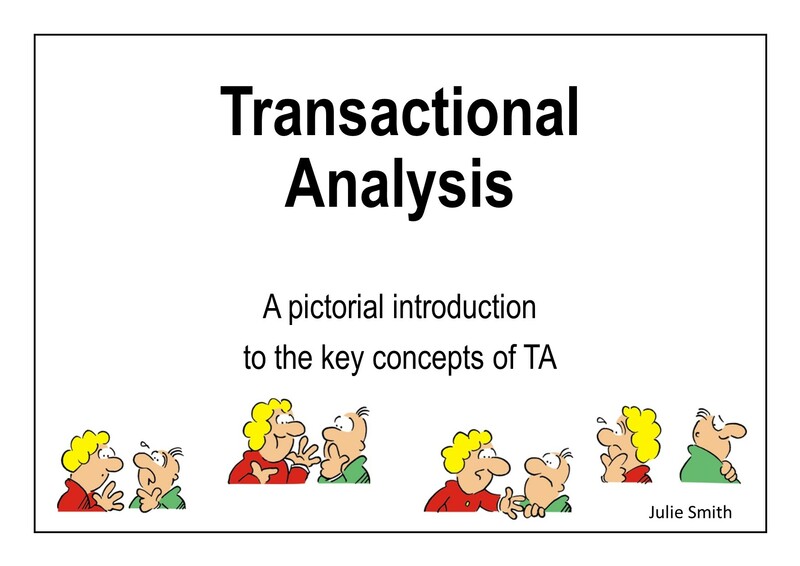 This book is perfect for therapists or counsellors wanting images of key concepts (such as the drama triangle) to show their clients, for those wanting to know a little about Transactional Analysis before launching into the official TA101 course, or simply for those who have heard about TA and want to know more. The basic concepts covered include drivers and injunctions, ego states, transactions, strokes, games, racket feelings, life positions, scripts, passivity, the Drama triangle, and autonomy. Note: This book is also available as an online course where the content is provided as full colour pdfs which are downloadable.